Sabina sets out for Italy with her friends, Giguhl and Adam Lazarus, to track down the only man who can get her the revenge she hungers for. But will he help her or oppose her? And just who is Abel, really? Worst of all, when Sabina figures out the goddess Lilith has a plan for her - she realizes this trip is getting deadlier by the minute. As they say: when in Rome - SURVIVE. The final book in the Sabina Kane series. The conclusion of this fun read-a-long of the series. I can't believe how far Sabina has come and how much has gone down in this series but one thing is for sure - I'm so very glad I got to read it all! Blue-Blooded Vamp is the conclusion to the five book Sabina Kane series. 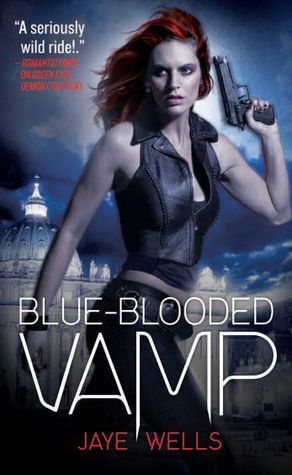 While my favorite is still the previous book, Silver Tongued Devil (due to its emotional roller coaster and all the shocking events at the end), I still loved Blue-Blooded Vamp and am left satisfied with the ending Wells gave us. In this one, Team Awesome sets out to a new location: Rome. I loved the new backdrop of Italy and thought it was a great place to end the series. We also get to see another location I've been wondering about for a while: Irkalla. Almost everyone who was even remotely important in any book in the series makes at least a slight appearance in this one, as is often the way of final books in a series. Most of the appearances fit with the story and didn't really feel forced so that was nice. Giguhl, who is still my favorite sidekick maybe ever, and Adam, who I don't find meltingly hot but like as Sabina's 'other half', are both prominent characters in this story just like all the others. Some characters from the past also appear unexpectedly so that was a welcomed surprise as well. I wasn't at all surprised by all the information we learn about Abel and from Abel and if you've been making predictions about who Abel is and what's going on with him then you are probably right. When Abel and his team join up with Sabina and her team we get some new characters and after having them for a bit, I must admit, it kind of felt like they'd been in the series all along. Are you annoyed with all the generic words and phrases of this review yet? Man, its hard to review the final book in a series! I can tell you NOTHING! All you need to know is that this is a terrific, if slightly drawn out, ending to a fantastic urban fantasy series. When I started this read along I was excited to get into another UF series, but when I began the first book I wasn't sure if Sabina was for me. By the end of Red-Headed Stepchild, however, I was hooked. Sabina's unwavering sarcastic bitchiness, her dark sense of humor, and that independent "You can't tell me what to do" attitude grew on me so much and I finished this series loving Sabina and placing her in my top UF heroines. Wells managed to let her grow throughout the story, but still stay loyal to who the character is and I just love that! 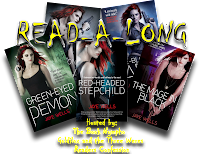 If you haven't tried out this series yet and love urban fantasy then this is a must read! For lovers of this series this is an ending that will make you happy. Recommended for fans of: urban fantasy, sarcastic snark, vampires, mages, and funny and horny sidekick demons. Part of the Sabina Kane Read-A-Long! 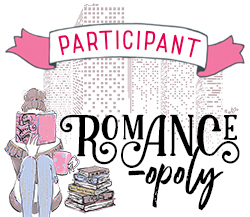 Check out the discussion post and interview with author Jaye Wells starting tomorrow! Loved this series, looking forward to what Ms. Wells does next. Wow, this really sounds so exciting. I would love to go through it.